Although the North Johnstone River empties itself into the Pacific Ocean just 20 minutes south of Cairns, Australia, it originates some 450 miles above in the World Heritage rainforests of Palmerston National Park. Rafting trips meet at an old converted dairy farm at Mulgalli Falls, a two hours drive from Cairns. From there, rafters and equipment are helicoptered into the heart of the rainforest to begin their 4 to 6 day journey. The North Johnstone River is rated Class IV-V, making it one of the more challenging whitewater rivers Australia has to offer, and also one of the longest advanced rafting runs available. The lush rainforests of Palmerston National Park would engulf almost any other river, but the North Johnstone’s relentless currents push through, forging a deep canyon that is utterly inaccessible to every means of transport other than by raft. The surrounding scenery is so varied and dense that it is difficult to summarize. Boats float past some of the oldest trees living on the planet, some of which first sprouted out of the ground more than 3,000 years ago. When the greenery gives way to rock walls, dark basaltic cliffs emerge and waterfalls spill hundreds of feet into the river. One of the more memorable falls on the trip is 150-foot Stairway to Heaven, an Aboriginal burial site. Wildlife sightings include bird spiders, water dragons, saltwater crocodiles, pythons, egrets and eagles. At night, a luminous fungus lights up the canyon walls as fireflies dance through Kauri trees and King Ferns. The rapids are big and technical. One narrow gorge, called Mordor, is so full of impressive Class V whitewater that it actually competes with the canyon in its grandeur. Because the North Johnstone is one of Australia’s un-dammed, naturally flowing rivers, its season is very dependent on winter rains. An average season lasts from April through June. 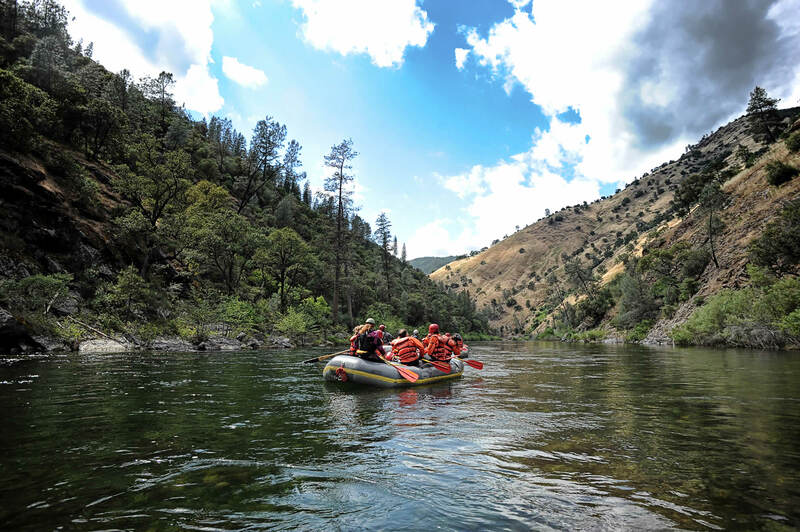 Each rafting trip ranges from 4 to 6 days in length.